Say goodbye to handwashing wine glasses and other glassware with the Glass Basket for Dishwasher. 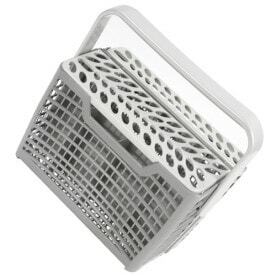 Care for your most delicate glassware in the dishwasher using this glass basket. A time-saving must, our universal glass basket holds up to 8 glasses securely and fits in the bottom basket of your dishwasher for sparkling results, so you can enjoy more time with family and friends. 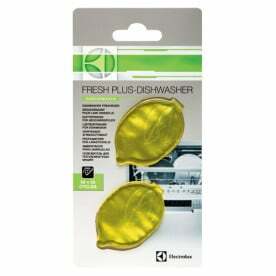 Universal: suitable for all 60cm and 45cm dishwashers. 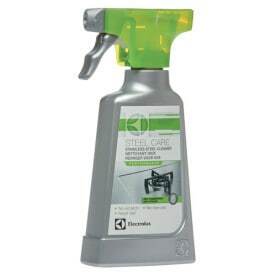 Versatile: securely holds mixed sized glassware with soft flexible grips and sliders. 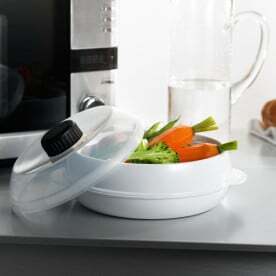 Capacity: holds up to 8 glasses and can be folded down on one side to hold 4 glasses and maximise dishwasher space. Ergonomic design: load and unload your delicate glassware with ease. Compact: folds down to a depth of 50mm for easy storage.